Our professional STEP-ON-GUIDES would be glad to provide groups or individuals with in-depth tours of the WWII-related sights. 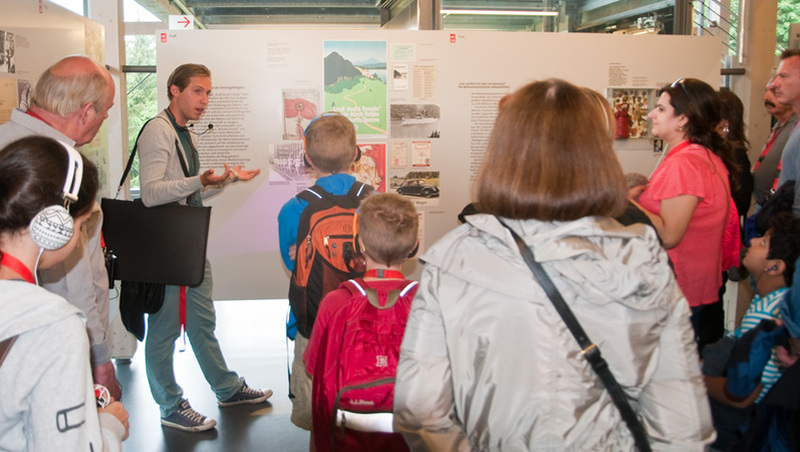 With many years of experience behind them, our guides provide educationally focused tours of the World War II sites such as the Eagle’s Nest, Obersalzberg, the underground bunkers and the Documentation Center. For practical purposes, our guides cannot address groups of over 30 participants. For the documentation center and bunker tour, group participants are required to use a “whisper system”. A whisper system is available for rent for groups that do not have one of their own. Set Price for a single sightseeing attraction such as the Eagle’s Nest or the Dokumentation Center and bunkers: Euro 120 per guided tour of the attraction (incl. 19 % sales tax) which does not include entrance fees. Guide service up to 3 hours: Euro 220 (incl. 19% sales tax). Waiting Time: The guides will wait ½ hour past the arranged meeting time at no additional charge. Beyond that first ½ hour of waiting time, guiding time will be charged. No-Show: A no-show will entail a charge of 50% of the total cost of the guide service. Cancellation Fee: Free cancellation up to 24 hours prior to the tour, after that time 50% of the guide price will be charged.